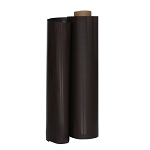 These rolls of 20 mil Plain Magnet are 24.375" wide by 25'. 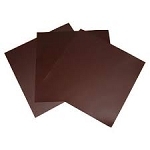 They have no adhesive or printable surface, just plain black on both sides. Only one side is magnetic.